We just made the BEST investment with our 2015 tax refund! In the past we have spent our tax refund on home improvement projects or family vacations. 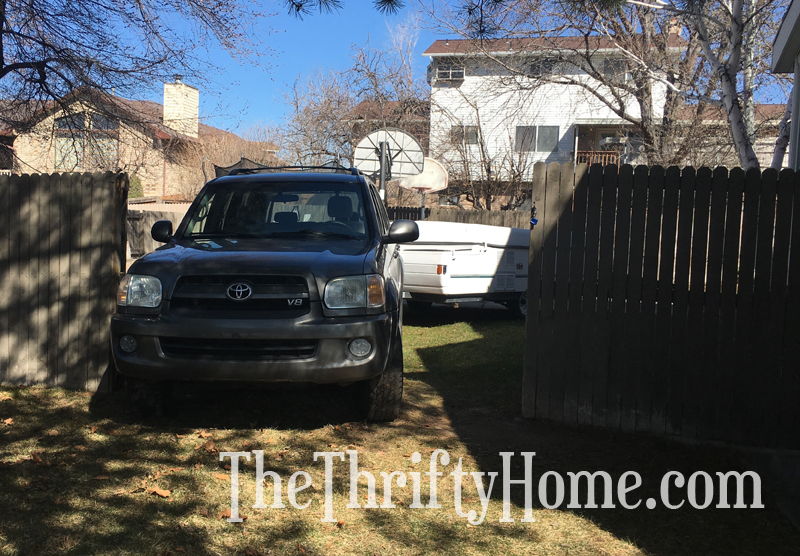 Last year we rented a motorhome for our Summer vacation and the year before we rented a bumper-pull trailer. This year we bought our own pop-up tent trailer! We live in Utah and had to pay more than the suggested retail value since campers and trailers are more sought after here and sell quickly. We paid $2,700 for a 1999 Coleman pop-up camper and it has been worth every penny. We wish we had bought a pop-up sooner! 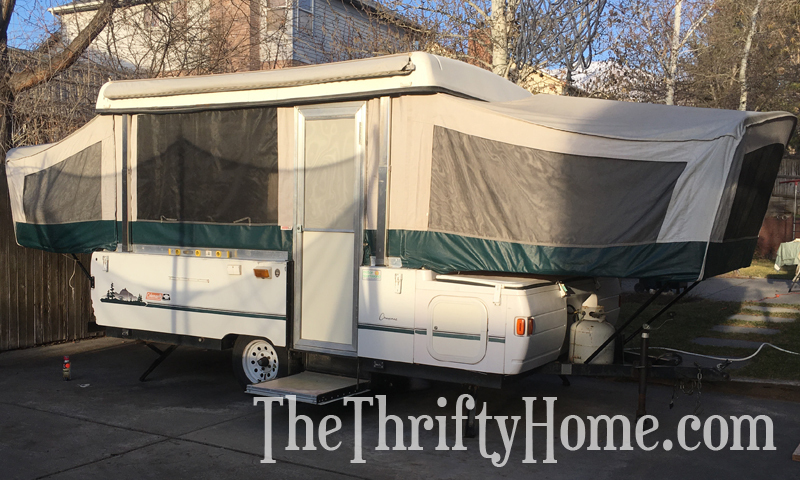 We were saving our money for a motorhome when I realized that the kids would be all grown up and out of the house by the time we could afford one. I decided to use this year's tax refund on a pop-up which is surprisingly large inside once set up. It's also super easy/light to tow and doesn't require any special insurance. Property tax was around $50, keeping the yearly cost down much lower than an expensive motorhome would be. I've already started sewing new curtains and fixing it up. Our first trip with it was to Capitol Reef National Park during Spring Break last week. It's one of the lesser known National Parks and was not crowded at all. FYI: Dogs are allowed in developed areas but not on any of the trails. We stayed at The Wonderland RV Park so that we could have restrooms and showers (our pop-up doesn't have a toilet or shower). The owner of the park was great and we had a wonderful experience there. 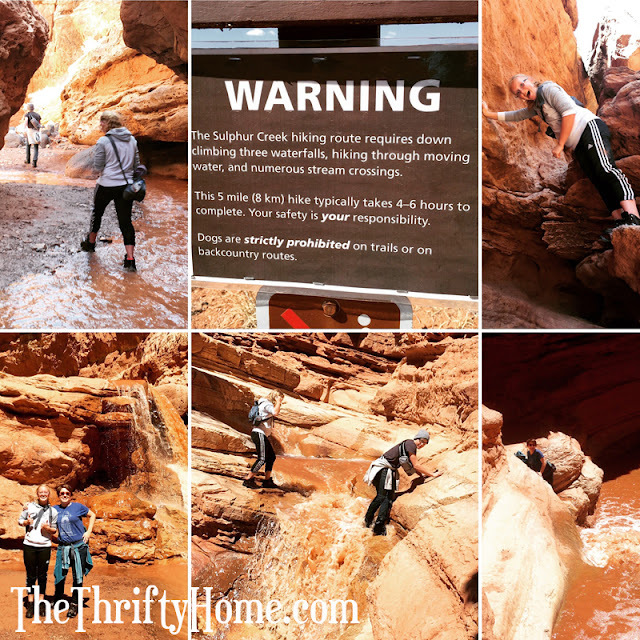 My Sister-In-Law told us about the Sulphur Creek hike which was amazing! I took our 2 teenagers on the entire hike beginning near Chimney Rock and my husband took our youngest to the end of the hike at the visitor's center. I don't recommend taking young kids on the full hike since there are 3 waterfalls you have to climb down. The sign said it would take 4-6 hours, but we did it in 3! Yay us! What makes owning a pop-up camper so wonderful is the time we get to spend with our kids. 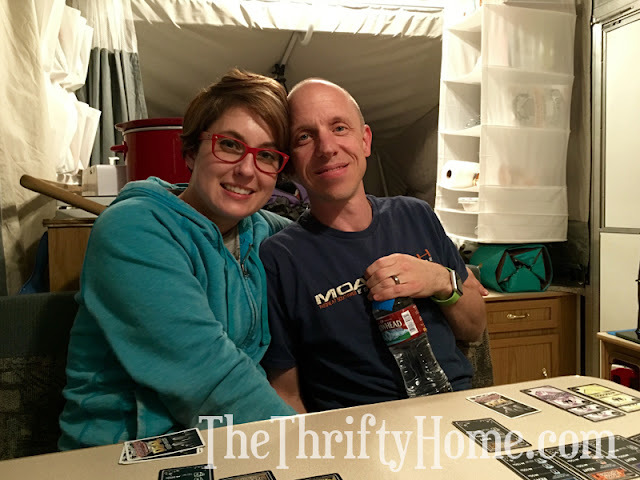 Our teenagers don't want much to do with us anymore, so getting them together in a small camper and away from electronics did wonders for our family. At home they sit and veg out in front of the computer, but when camping they go on hikes, play games, sit around the campfire, and talk to us! We will be using our pop-up all Summer and I'm so glad we bought it. Best tax refund investment ever! You can't put a price on quality time with the family. I've started sewing new curtains and have added some great organizing solutions like the closet organizer you see in this picture. I'll post more about our improvements at the end of Summer when I have hopefully finished them all. When we are not camping, the pop-up sits in our backyard on our basketball court. If we never took it camping, we would still get a ton of use out of it. The kids love hanging out in it and having sleep overs. We opened up the fence by cutting one of the posts at the base and putting hinges on it. Now our entire fence swings open! Camping with the trailers can make the journey more exiting. It reduce lots of hassle during traveling. I often use my custom made trailer to carry the all things i might need while camping.